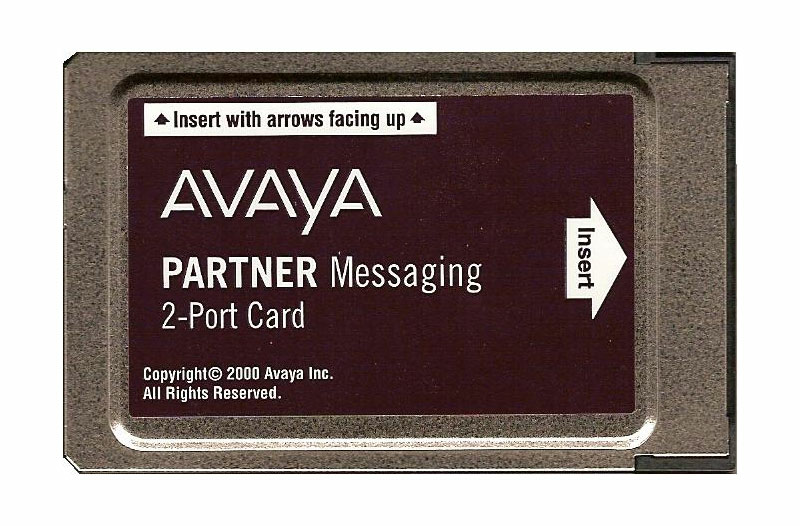 Partner Messaging R1.0 Module with 2-Port Card. Expandable from 2-Ports to 4 or 6-Ports.�Expands easily from 2 to 4 or 6-Ports for future growth and optimal performance. Automated Attendant Service.�Provides four Automated Attendants, each of which can answer different lines. You can create up to 99 announcements shared among all Automated Attendants. For example, you can offer callers a choice of a standard business hours/location announcement or a frequently updated announcement featuring special offers for your sales department and two other announcement choices for your service department (i.e.�"Press 1 for sales...Press 2 for technical...etc. ").�Caller can choose between two languages. Submenu Service.��Provides up to 99 submenus shared among all Automated Attendants for additional user selections. Dial By Name Directory.� Users can easily locate the extension of their party with a dial by name directory. Call Answer Service.�Prompts caller to leave a message or transfer to another extension or transfer to a personal operator when the called party does not answer. Voice Mail Service.� Allows subscribers to listen to messages, delete messages, record a personal greeting, change their password, forward messages with comment to other mailboxes, set up outcalling to a list of pager and telephone numbers, listen to a caller leaving a message, create and send messages, create personal distribution lists, adjust playback volume while listening to messages, specify a personal operator, record a call, and specify messages as Priority, Private, or Return Request. Mailbox Management Made Simple.� Easily manage and administer your mailbox directly through a LAN connection and your PC's internet browser using Partner Messaging's www.messenger software. Night Service.�Provides after-hours service in addition to daytime service.